Lesson planning, testing, meetings, communications with parents, grading - a never-ending list of tasks. And now we’re also dealing with active shooter drills and school safety as a top priority. 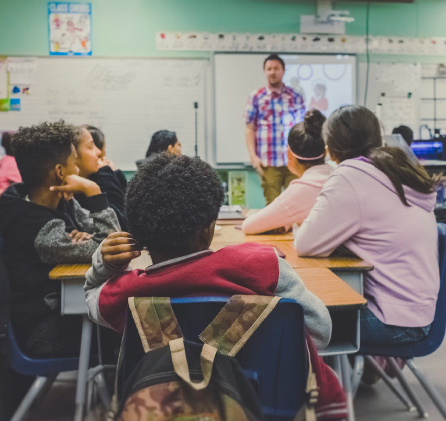 We’ve become specialists with a ton of different hats: we are counselors, parents, police, security guards, behavioralists…and long gone are days of just teaching content. 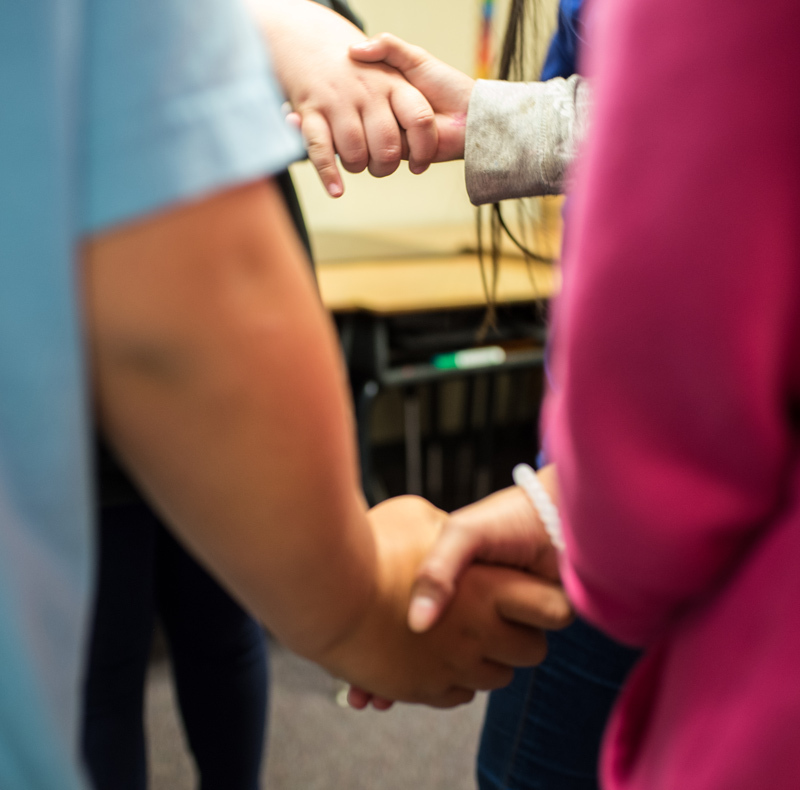 Good teachers know how critical it is to build strong relationships and the more connected you are as a class, the more learning happens in the classroom. A strong foundation opens the door to deep learning. But the question is always time, isn’t it? WHEN are you supposed to build relationships and how do you have the brain power for that with everything else you’ve gotta do? Designed especially for teachers ready to reimagine the way we teach and build relationships in the classroom. 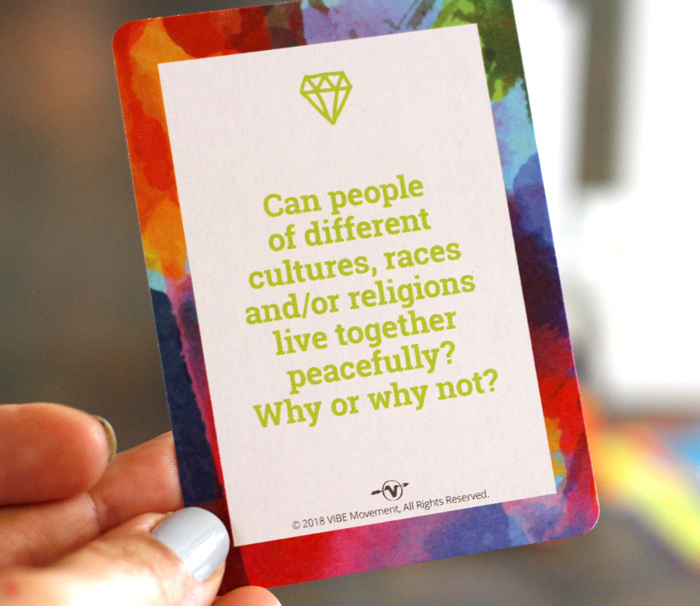 Fan out the entire deck and see what happens or be more strategic and address a situation with a specific category. and accessible to all teachers. 5 Categories: Keep the Peace, Building Blocks, Just Cuz’, Take It Deeper, Let’s Get Real! What are people saying about The VIBE Deck? "The game we played was really fun and should be played at any party were there is a lot of people. It is fun to get to know someone even better than you did before.The people who made this game are very creative." 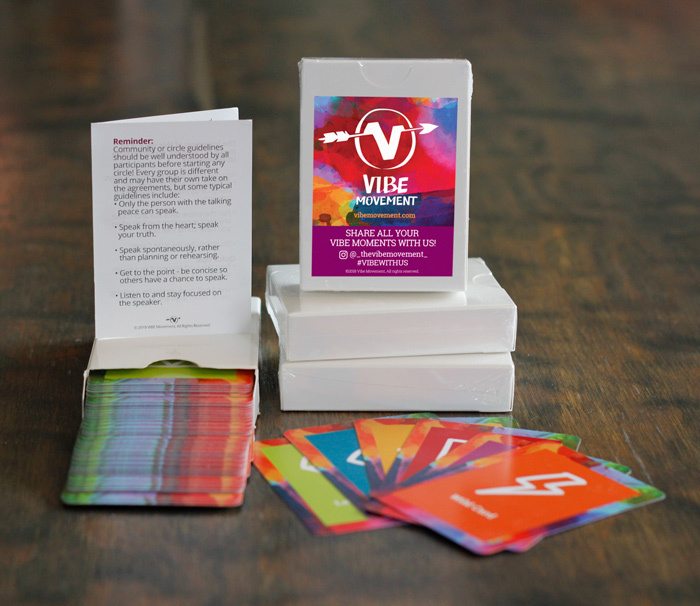 "I used the VIBE Deck for the first time at the end of term with my middle school character and leadership classes. I was wonderfully surprised at the engagement and participation that took place, even from those students who don’t typically like to participate. 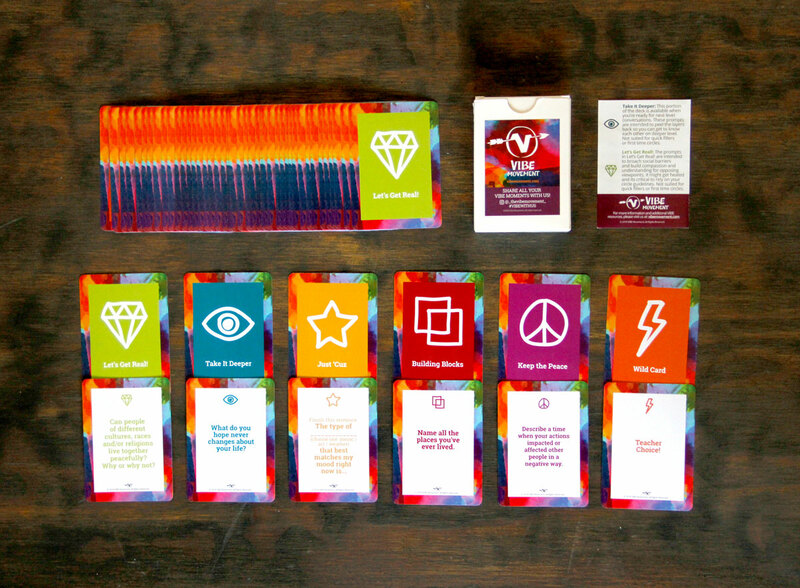 I see the VIBE Deck being a great ice breaker activity at the beginning of the year for getting to know one another and bond. 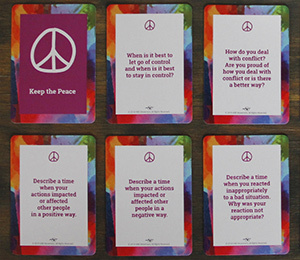 I will also probably use the Deck for conflict resolution activities. Looking forward to seeing some emotional walls and barriers being broken down!" "I thought these cards were an amazing idea because it brought people together. I got to learn so much more about my friends and things they like. I felt like I was in a safe environment to answer all these questions honestly. I feel like I have so much more in common with my friends than I had before with this game."